The biggest obstacle to a handicapped person is often their own home. Countertops and cupboards are too high, doors are too narrow, stairs restrict access to parts of the house, and bathrooms are impossible to maneuver in. Some of these conditions can be alleviated with a simple fix, some will require a more costly renovation. There are agencies that can help with the work and the cost of making a home more handicap accessible. Here is how to find them. 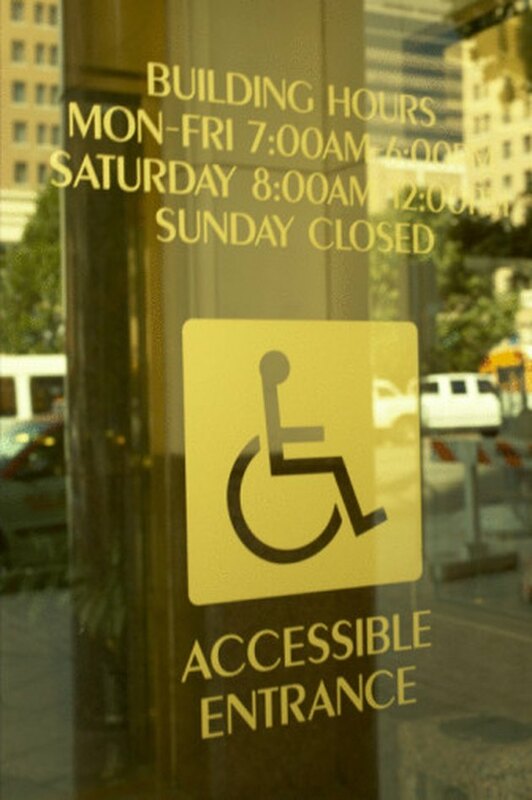 Get help to make your home handicap accessible. CLAIM DISABLED VETERANS BENEFITS: Go to the the Veteran's Administration Website...see the link in Resources below. In 2008, Congress provided veterans, who received their disability during their service to the country, grant money of up to $50,000. This grant can be applied for up to three times and can be used to modify the veteran's home to make it more handicap accessible. GET LOCAL ASSISTANCE: Look in your local Yellow Pages under Disability Services. Many communities have agencies, churches, or charities that advocate for, and help persons with disabilities. They can often either point you in the right direction, or offer services themselves that can assist you in your dream of making your home more handicap accessible. APPLY FOR STATE AND FEDERAL GRANTS: Many states have programs that can help you in a variety of ways. In the State of New York, The Department of Housing and Community Renewal can assist you by performing an evaluation of your home. They will assess the needs of the person and what needs to be done to the home in order to accommodate those needs. They will also offer financial assistance to qualified individuals to get the work done. Check with your State offices to see if they have a similar program in place, or see the link below to check your elegibility. CONTACT NATIONAL CHARITIES: There are many charities and advocacy groups that can sometimes offer home evaluations and financial assistance to make a home more handicap accessible. A quick search online will turn up dozens of such groups that are ready and eager to help. One website is called Great Nonprofits. You can post your needs there and look up what others are offering. See the link in Resources, below.